Prince Harry isn’t just planning on giving Meghan Markle his heart when he proposes. He’s also apparently planning on giving her some really important diamonds. 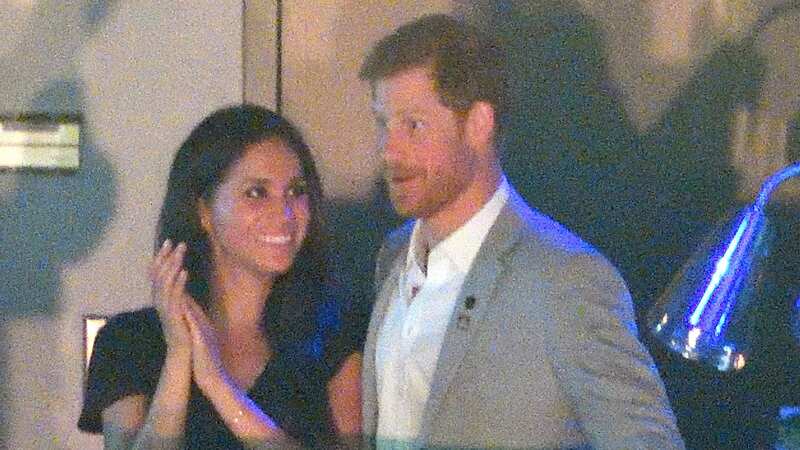 Us Weekly reports that Prince Harry has already commissioned the ring, which will feature diamonds from a brooch that belonged to his mother, Princess Diana. A source told the outlet, “It will definitely be a summer wedding,” though rumors about Harry and Markle’s engagement are already running rampant. Markle finished shooting her TV series, Suits, and reportedly moved into Harry’s house, Nottingham Cottage, which is located on the grounds of Kensington Palace. “There are no plans for them to live separately, Meghan will move right in,” an insider reported to Us Weekly. An engagement announcement seems imminent at this point. According to Vanity Fair, London bookmarkers recently suspended betting on whether Harry and Markle will marry in 2018 because the odds are just too good that the couple will wed.
Vanity Fair also speculates that Harry and Markle will follow a similar announcement style as Prince William and Kate Middleton, with the engagement announced early in the day, a photo call following the announcement and then an on-camera interview. William also pulled a fast one on the world and secretly proposed to Kate a month prior to the official engagement announcement, hence the speculation that Harry may have already proposed to Markle on their African holiday at the end of August.